Japan To Get Ridiculously-Priced 250GB Xbox 360 Hard Drive | OhGizmo! When Microsoft entered the console gaming market, it was a great day for gamers here in the US. Now I don’t have anything against Nintendo or Sony, I love their consoles. What I don’t love is all of the exclusive hardware that Japan gets from these companies, since they are located in the region. Well since Microsoft is located here in the US of A, the tables are turned. 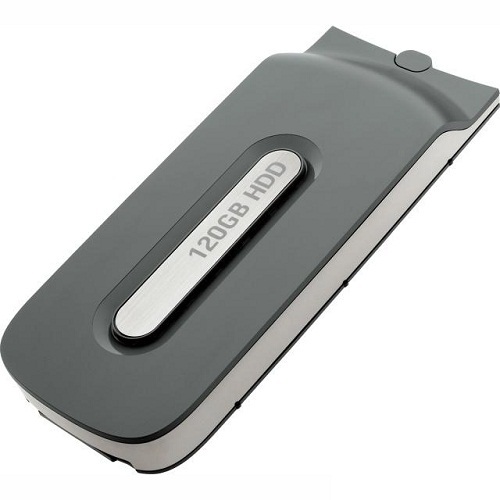 Take this new 250GB hard drive that has been announced for the 360. Guess where it’s being launched first. Wait, Japan? What’s even more strange is that despite a confirmed March 11 launch in Japan, there is no plan for a US release. Does Microsoft not think that we download enough? Or maybe they know that we’re in a recession, and aren’t going to pay $170 for a 250GB hard drive. I’ve ranted about this before and it still infuriating, you can buy a 2.5-inch hard drive (which is what’s used for the 360) for 1/3 of the price they are selling it. That’s one heck of a markup. They should take a cue from Sony and let us use our own drives to upgrade. ← Live Checking Cards: Watch Your Bills, Honey! Actually it's because we are slow. Technology in the USA drags behind many countries. Why even South Korea has a faster broadband network than we do. While other countries put the infrastructure in place to make things faster and better, we just say we're doing it but over half of our infrastructure is old fashioned cabling and equipment. For example: If you have Comcast come and install an HD (LOL!) cable box in your house, not only are the tech's not educated but they connect your box to the TV with old 3 pin RCA's which will not give you true HD (not that they can offer anything more than 720p on most channels anyway). Frankly it's the consumers that allow this stuff to go on. Why? Because most just don't know any better. The tech that brought my HD box to my house claimed that without an HD tuner in my TV I couldn't get HD programming. I told him that my TV was HD ready and there was an HD tuner in the cable box. He continued to argue the point and hooked it up his way. When he left I tore all his crap out and reconnected it the right way giving me the HD he claimed I couldn't get. Yes, the rest of the modern world is blazing ahead of us and until we take an interest in knowing what's what, we'll continue to be last or not at all. I'm not really a fan of Xbox, I've never owned one, nor do I plan too. This is the last article I'm reading, the last one pissed me off something fierce.